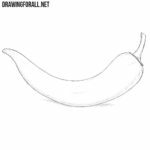 It is strange but we notice a great interest in drawing tutorials in which we draw vegetables. We thought it was pretty boring stuff. 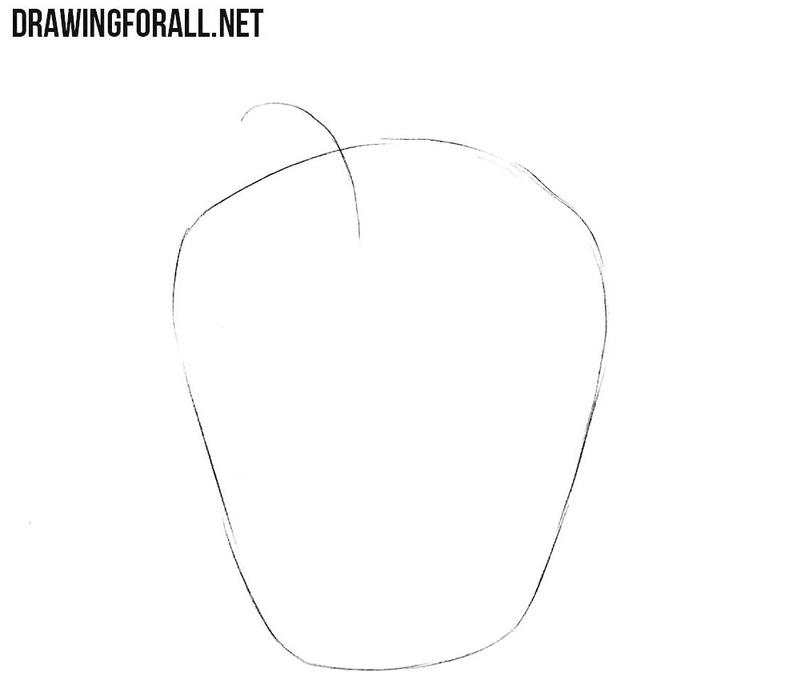 In fact, we have drawing lessons about Deadpool and armored Batman. 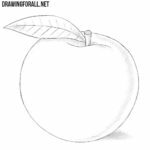 But in the comments you write that you like to draw not only characters from comics, but also ordinary things. For example, you like fruits and vegetables. 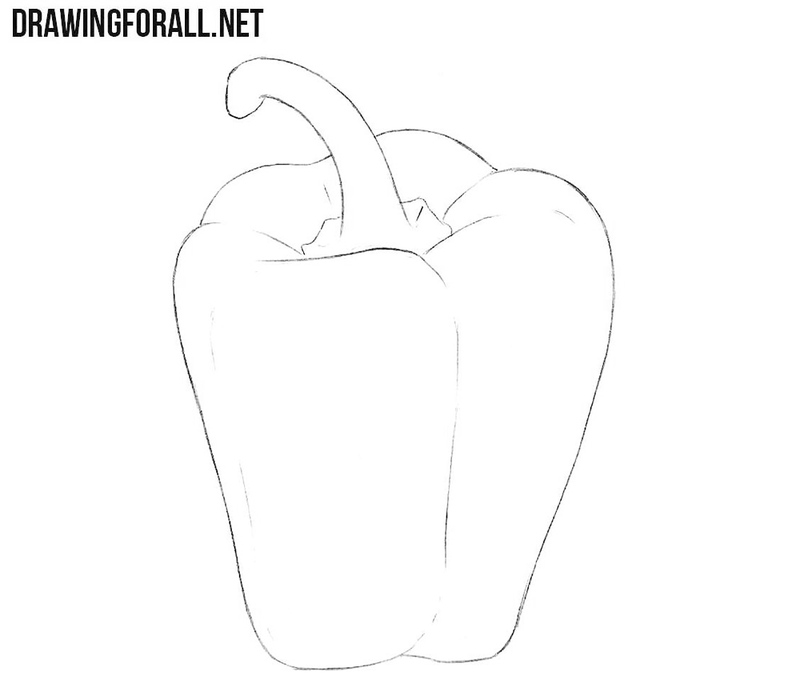 That’s why we created a new lesson on how to draw bell pepper step by step. By the way, this is a pretty tasty thing. Do not forget to add it to your salad. First, we draw the outline of the bell pepper and the stem. Do not try to make it perfectly smooth. 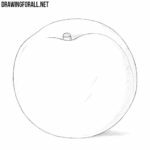 However, be sure to draw a smooth taper from top to bottom. In fact, we will work only with the top of the bell pepper. With the help of several oblique lines, we outline a large impression in the middle of the upper part of the pepper. Also in the same step we draw the volume contours of the stem. Now we will erase the extra guide lines from the previous steps. The lines that denote the central impression should be very smooth. We practically painted this fragrant, crunchy bell pepper. Now we need to work with shadows. In our case, we see light realistic shadows. You can choose any shadow localization. We chose to draw the shadows near the central impression and the stem. In this drawing tutorial we showed you how to draw a bell pepper in our classic style. As always, we tried to show the most difficult thing with the simplest method. 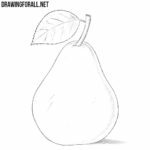 And we very much hope that now you can draw a pepper as well as our artists. We are hungry. It’s time to cook a flavored burger stuffed with sweet pepper. 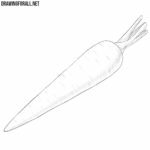 We hope that you, too, will now eat something tasty from what we have already drawn. Bon appetite! 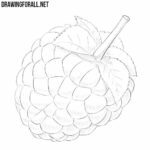 Do not forget to visit us often for new drawing lessons.